The Year 2012 witnessed the launch of some of the Greatest Apps for iOS Devices. Some made a debut, some made a comeback, but what’s important was that every app managed to utilize the full potential of the iOS specifications such as the retina display, processing capacity and showcased a unique feature in their functioning. Now the Year 2013 has comes and brings-out the some Best and Free iOS Applications for iPhone, iPad and iPod Touch devices from Apple. 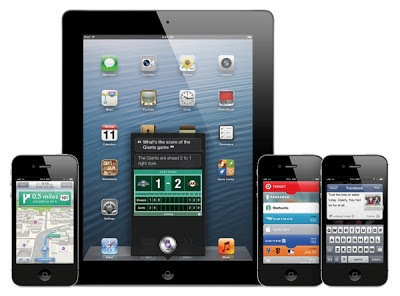 So in this post we are going to Review of Top Six (6) Best Free iOS Apps of 2013 for iPhone, iPad & iPod Touch devices. The number of appealing iOS Apps to roll out this year 2013 is so huge that it’ll be literally impossible to list each and every one of them. So we’ve skimmed, filtered and shortlisted some of the Best and Free iOS Apps of 2013 for iPhone, iPad and iPod Touch, which we believe that they are really great among the good ones. So, here’s the list. So, these were some of the Free Applications for iOS of 2013 that were truly convenient and appealing in terms of their usability and functionality.